Building your own trailer? Remodeling? Or just taking care of the normal maintenance? 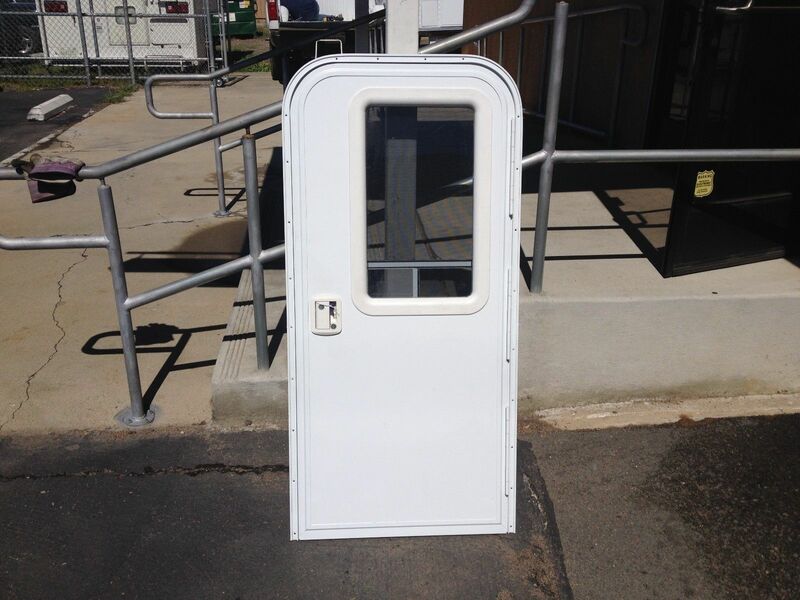 Let us find you the RV or camper entry door you need. 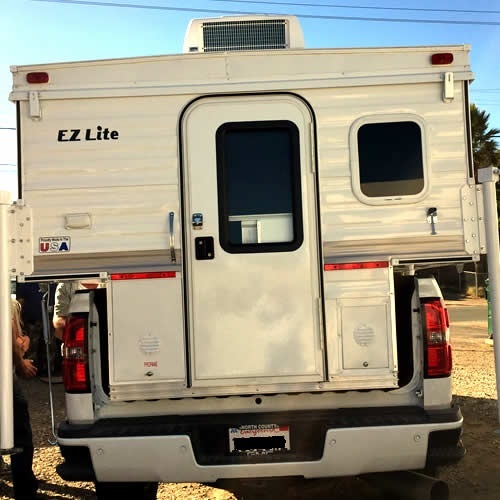 These are the very same entry doors that we use in our very own EZ Lite truck campers. Choose from the entry doors we have or you can special order the size you need. 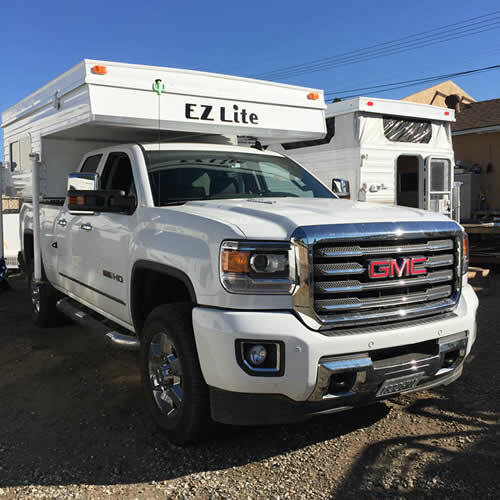 We specailize in replacement RV and camping trailer entry doors, and much more. The best part is, you still save lots of money! Thesedoors are great for the do it youselfers! You install it, or we can install it for you! We buy for cash, we sell for cash, and we make deals! We ship all over the United States and Canada! We have more sizes of doors than the ones listed on here. And more coming all of the time. Call us for more details. 54" x 24" Entry Door with Screen Door. Lock and Key Included. 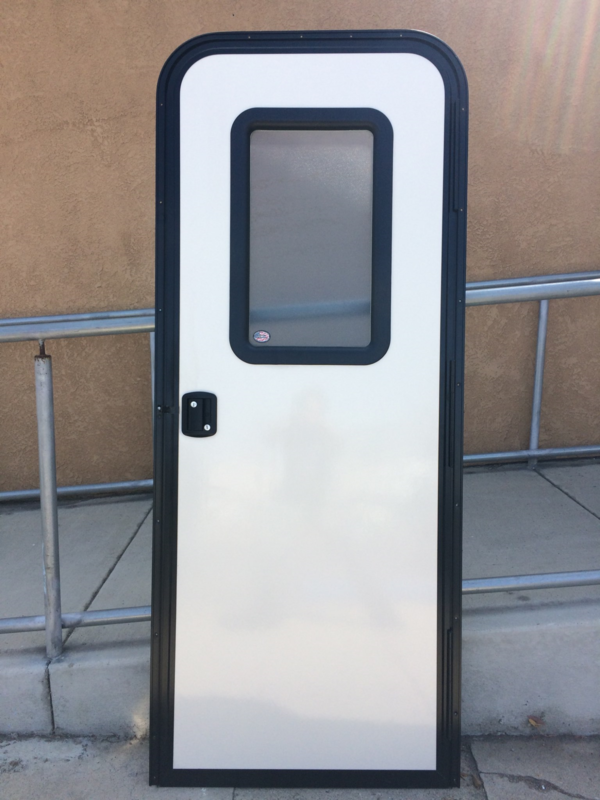 74" x 24" Entry Door with Screen Door. Lock and Key Included. 72 x 28" Entry Door with Screen Door. Lock and Key Included. 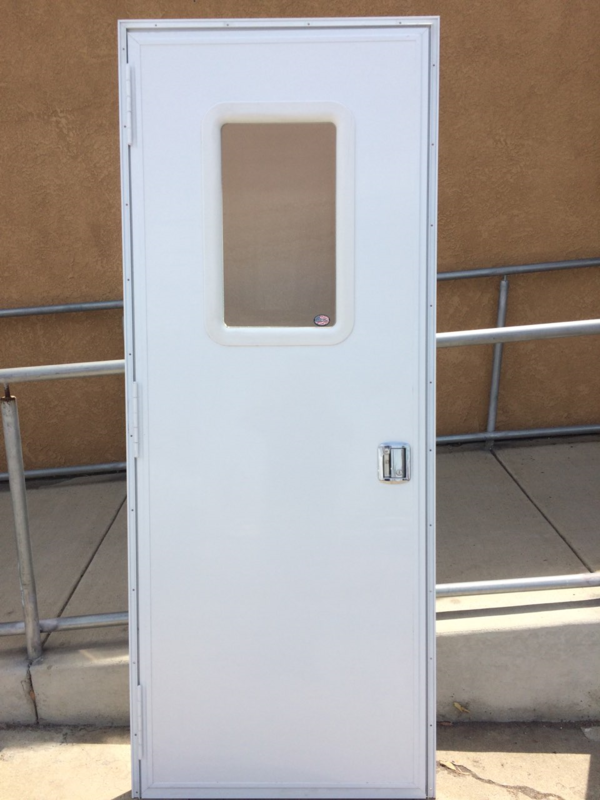 72 x 24" Entry Door with Screen Door. Lock and Key Included. 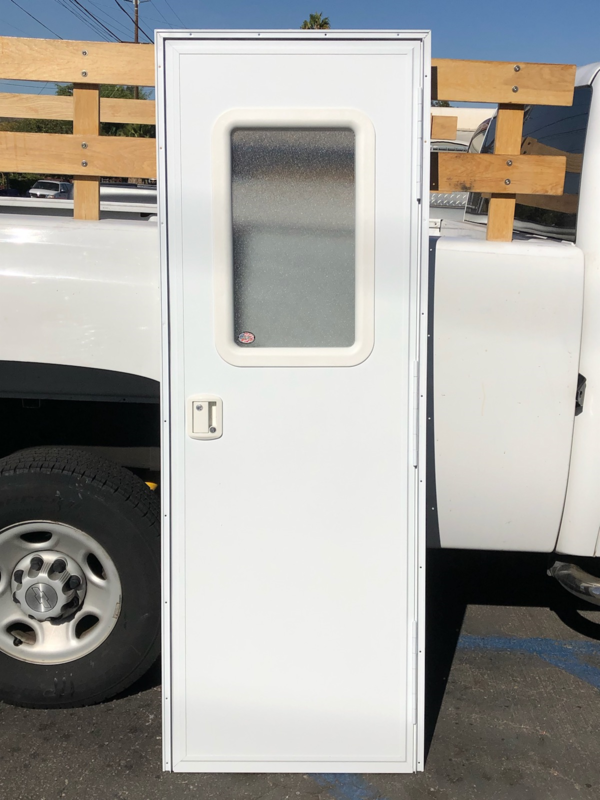 Entry Door installed in EZ Lite pop up truck camper. These are quality doors. We use them all the time. Double Door with Lock and Key. 80 x 31" Entry Door Lock and Key Included.